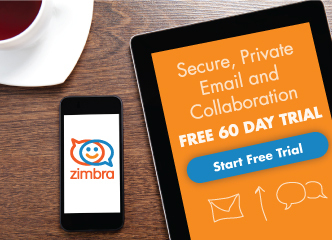 Have you ever wanted to share your Zimbra calendar with an executive assistant or someone outside of your organization? Or perhaps you want to share the calendar with people who frequently schedule appointments with you. 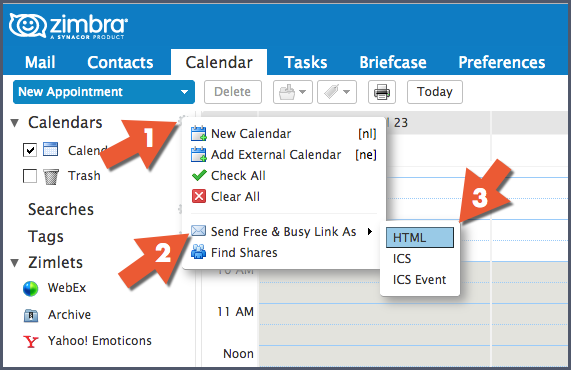 You can share your Zimbra Calendar information with anyone via a link. They can click the link to see when you are free or busy. Click the gear icon in the Calendars navigation pane. Select the Send Free & Busy Link As option. Select the link format. In this example, I will send an HTML link. Thanks for joining us for Power Tip Tuesday!